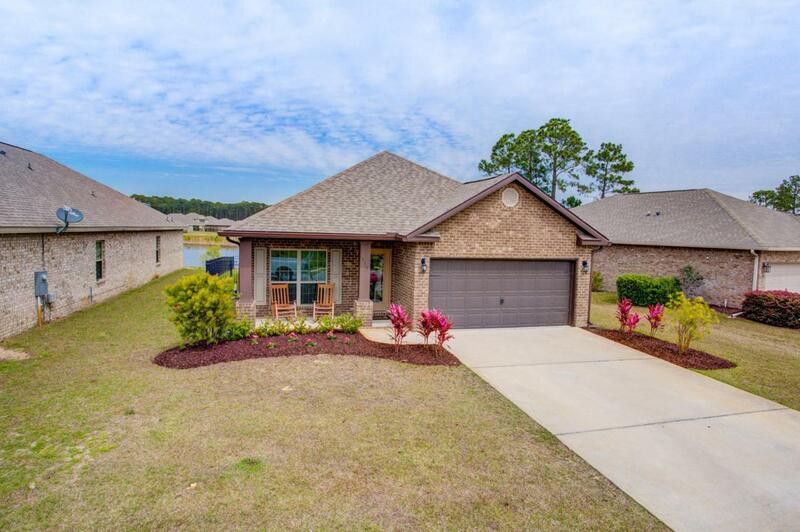 This Driftwood Estates jewel sits on a large lot and enjoys the lake breeze year round. 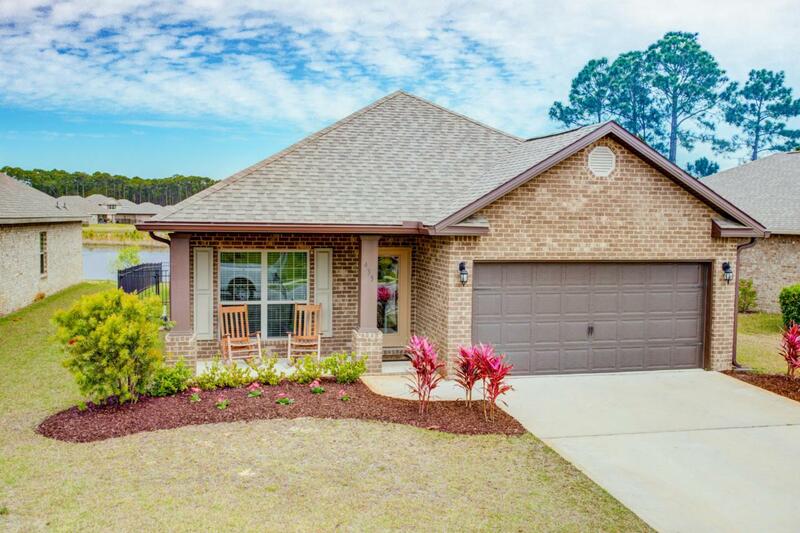 Open floor concept, granite, painted cabinets, stainless, trey ceiling, vaulted ceiling, crown moulding and upgraded wood tile floors are just a few of the features this home enjoys. With three bedrooms and a flex room, this home provides ample storage space and allows for an additional office or playroom. The chef in the family will enjoy being a part of all the festivities and looking at the beautiful lake view while busy in the kitchen. 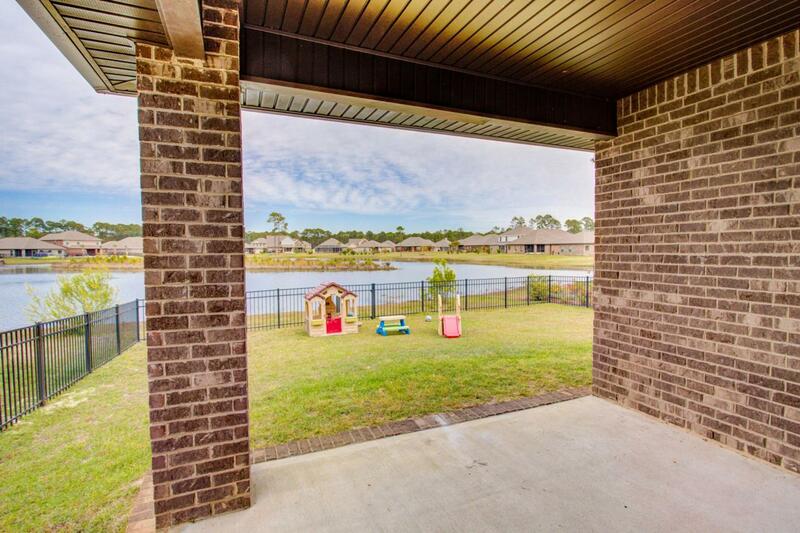 The large private master bedroom is in the rear of the home and also enjoys the lake view. Master bathroom has double vanities and a spacious, beautifully tiled shower with shower bench. The large walk in master closet is sure to please even those withextensive wardrobes. Fully fenced with beautiful black wrought iron fencing and three separate gates, the level back yard will make outdoor living a pleasure. Feel free to kayak or paddle board and enjoy your waterfront back yard. Guests will love catching (and releasing)some of the large bass out back as well. Home is complete with blinds, full gutters, irrigation system, pump and extra exterior lighting outlets. 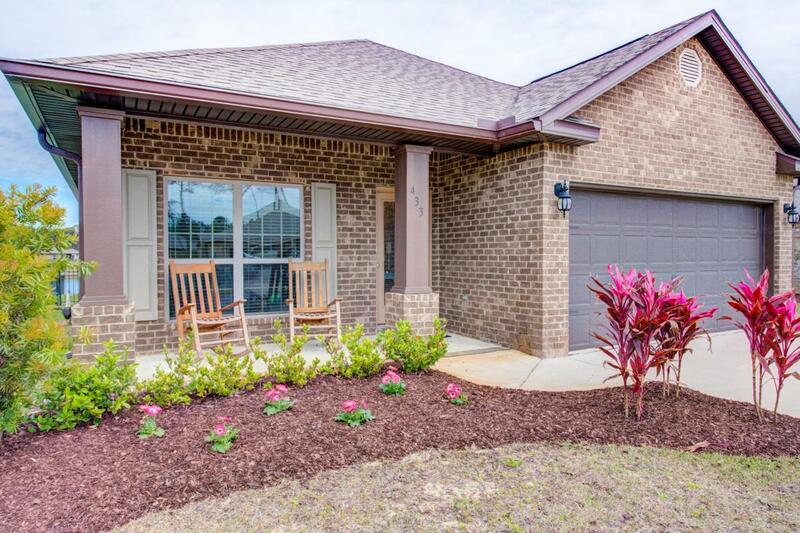 This home is four years young, turn key and waiting for you! Buyers to verify all information important to them.